Yoga with all its benefits may cause muscular strain and serious spine injuries if not practised with caution. But this does not mean we cannot practice yoga. Yoga has a host of benefits as well. According to experts, it is good for arthritis, carpal tunnel syndrome, tennis elbow, joint, back and neck pain, but it has to be done correctly. 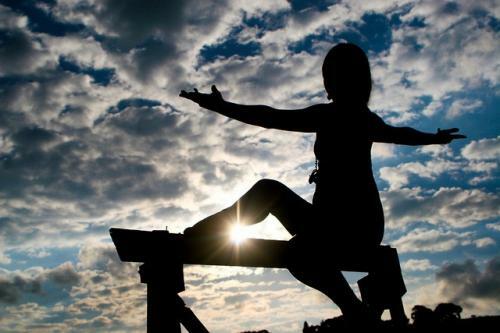 Orthopaedic experts say that daily yoga practice can help build bone mass and prevent musculoskeletal problems. However, people suffering from musculoskeletal conditions should take precaution before doing yoga. “Regular practice of yoga makes bones stronger and healthier. It improves physical posture and helps in keeping the spinal cord healthy,” Raju Vaishya, senior consultant, orthopaedics & joint replacement surgery, Indraprastha Apollo Hospital, New Delhi, says. When you do exercise, you do two things: one you take weight on the bones and second you exert pressure on the bones through muscles. So, when one does these things, the bone forming cells (osteoblasts) get excited and produce more bones, Vaishya adds. More bone formation is good for osteoporosis. In osteoporosis, the balance between bone formation and bone decay is disturbed. More decay happens than formation. “Yoga increases bone formation which continues till death, but gets slowed down with age,” the doctor says. At the yogshala, patients are asked the past history of their diseases before being prescribed postures and proper diet. “It is a holistic approach to treat disorders, but it is a slow process and takes time to show results. Though yoga cannot cure everything, it can certainly aid in betterment of life,” Kumar adds. "The number of yoga injuries I get (injured backs , necks and shoulders) is too high. This happens when people don't do yoga under expert guidance. Every pose is not suitable for everyone. Everyone has a different body structure. There is no one size that fits all," Sunil Mehra, senior journalist and teacher at Studio Abhyas, says. Delhi-based yoga expert Smita Dhar says she has successfully supported her students in controlling and managing lifestyle diseases like high blood pressure, diabetes, hypothyroidism, chronic back pain and spinal cord conditions. “Effective, gentle and mindful yoga practices do support healing of any condition. Yoga works towards addressing the root cause of conditions and allows the body to open, breathe and heal naturally,” she adds. For Mehra, yoga was like a “sanity anchor” which helped him cope in a high stress job. However, yoga is not a magic medicine. It is more like an aid to cure. Pranayam practice like Kapalbhati can help those who want to lose weight. But Mehra cautions that Kapalbhati should best be avoided by those with high blood pressure. Traditional schools use to coach extra-curricula activities which cover sports, gardening, ACC/NCC, Scouts & Guides, etc that give physical exercises with sweting. As a student I enjoyed this but now no playgrounds no physical exercize teachers to execute the extra-curricula activities -- even schools have no buildings. In fact I went to the rigour of Yoga in Red Cross Society run coaching center for few years in early mornings everyday but achieved little except wasting my time and car petrol. My wife also used to attend this and now she practices at home has not improved her health. The government must give priority to establish good school buildings and good playground along with coaching teachers on extra-curricula activities like in traditional system. The basic problem with the urban people is they eat polluted/adulterated food and live under air and water pollution conditions.